Georgia parents have lost custody of their son who suffers from seizures after administering marijuana to treat his disorder. The couple started giving their son the medicine in February. Their child now resides in a group home. 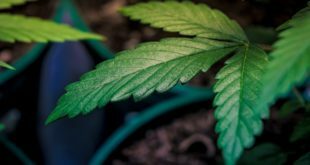 Georgia does allow low-THC oil to be administered for intractable epilepsy with proper certification, but obtaining the card is difficult, WHNT 19 reports. There are still no in-state options to obtain the low-THC oil. Doctors in the state are not permitted to prescribe the oil either. The Brills discussed that other medical treatment options and medications did not work. Marijuana was used as a last resort. Marijuana helped their son be seizure-free for 71-days. The Brills have an upcoming court date on June 14. At this time, it will be determined whether their son will be able to return home.